I wanted to share this photo of a butterfly with a pretty hot pink crepe myrtle flower. 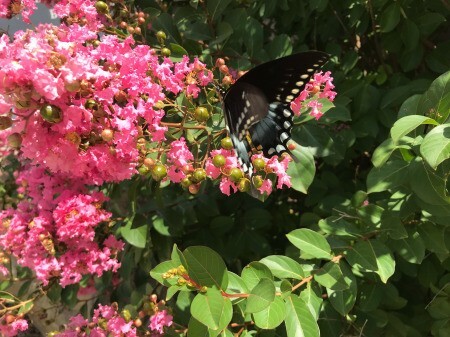 The butterfly is a spicebush swallowtail. The photo was taken very quickly as these butterflies do not light on anything very long; they are fluttering on by.